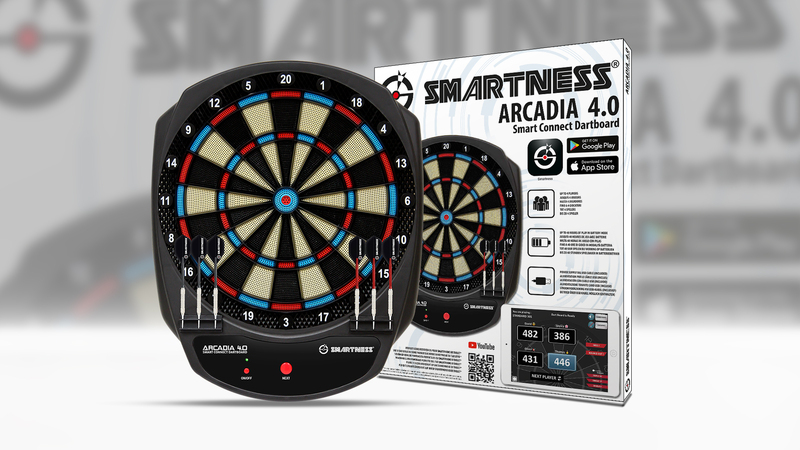 News | Launch Of New Smartness Dartboards | Carromco - License To Play! 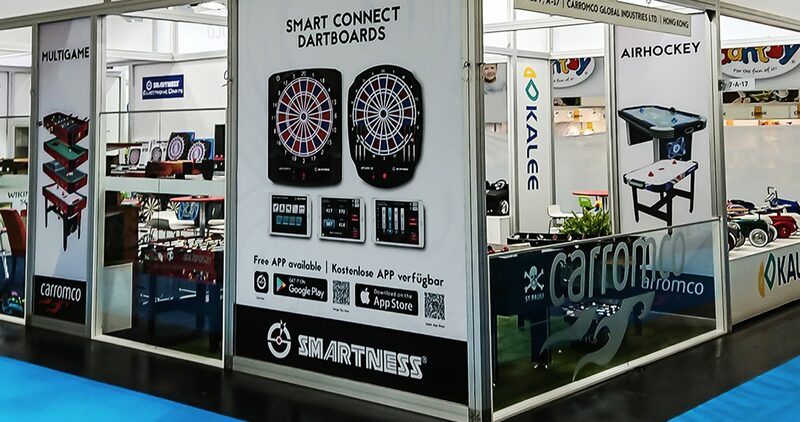 During the Nuremberg Toy Fair 2018, we successfully launched the new Smart Connect Dartboards under our SMARTNESS® brand. 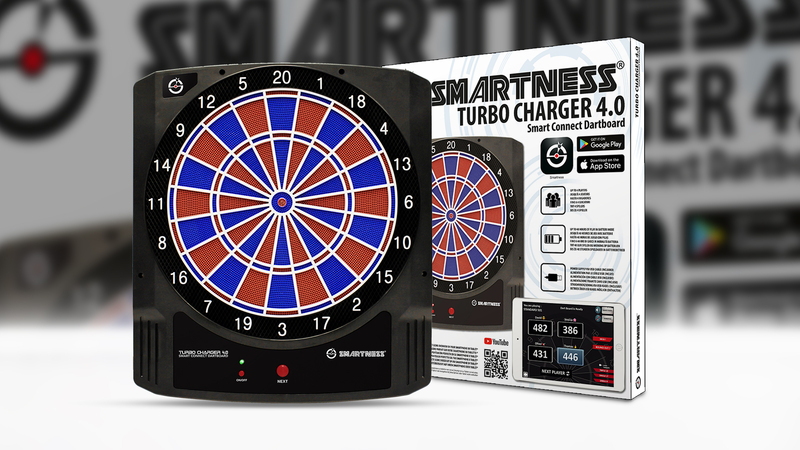 The two boards, named “ARCADIA 4.0” and “TURBO CHARGER 4.0” connect to your tablet or smartphone via Bluetooth 4.0. They have convinced and enthused customers from all over the world! 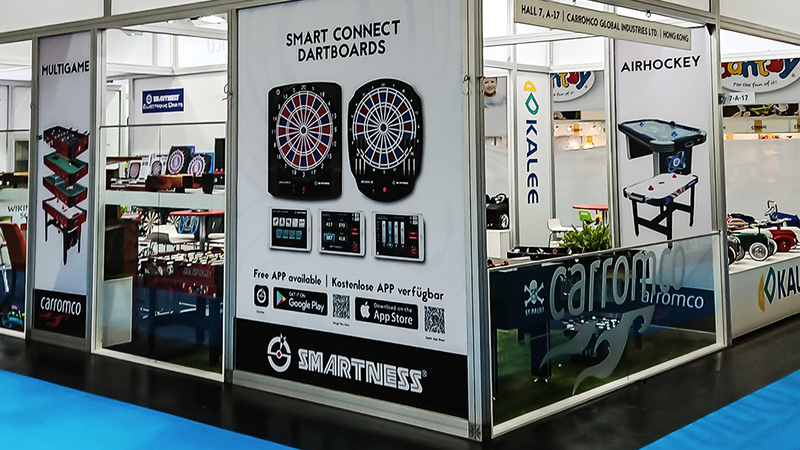 During some exciting Dart matches at our booth, our customers could experience the advantages of this new technology first hand. Using the corresponding free SMARTNESS® app, new personalized player profiles are created within seconds. 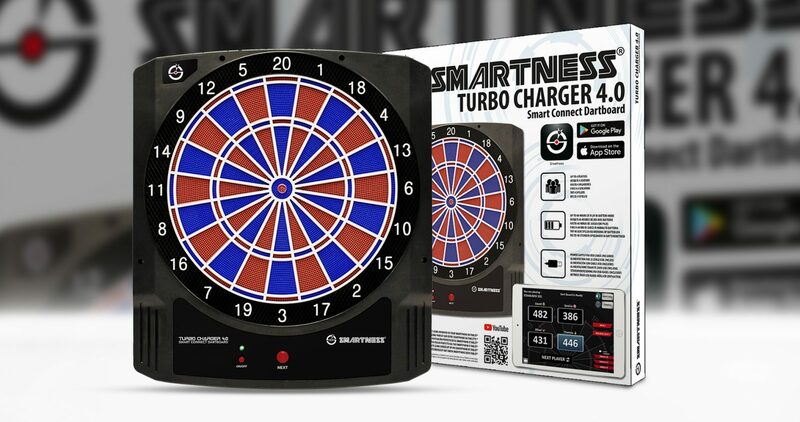 The perfect score overview at all times keeps the game exciting for all players. 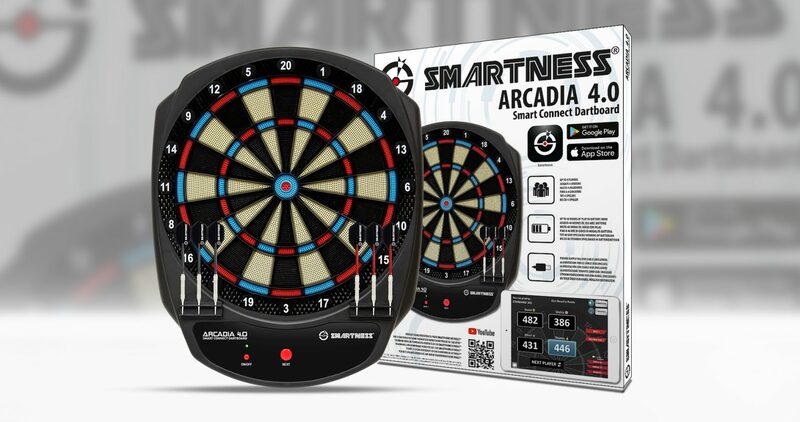 Finally, our customers were stunned to see how easy we could project the score display onto a big Smart TV – to create the perfect Dart Arena at home! Thank you all for the big interest and positive feedback!